Joan Crawford was not an actress; she was a movie star. The distinction is a crucial one: She infrequently appeared in superior films, and her work was rarely distinguished regardless of the material, yet she enjoyed one of the most successful and longest-lived careers in cinema history. Glamorous and over the top, stardom was seemingly Crawford's birthright; everything about her, from her rags-to-riches story to her constant struggles to remain in the spotlight, made her ideal fodder for the Hollywood myth factory. Even in death she remained a high-profile figure thanks to the publication of her daughter's infamous tell-all book, an outrageous film biography, and numerous revelations of a sordid private life. Ultimately, Crawford was melodrama incarnate, a wide-eyed, delirious prima donna whose story endures as a definitive portrait of motion picture fame, determination, and relentless ambition. Born Lucille Fay Le Sueur on March 23, 1908, in San Antonio, TX, she first earned notice by winning a Charleston contest. She then worked as a professional dancer in Chicago, later graduating to a position in the chorus line of a Detroit-area club and finally to the Broadway revue Innocent Eyes. While in the chorus of The Passing Show of 1924, she was discovered by MGM's Harry Rapf, and made her movie debut in 1925's Lady of the Night. A series of small roles followed before the studio sponsored a magazine contest to find a name better than Le Sueur, and after a winner was chosen, she was rechristened Joan Crawford. Her first major role, in 1925's Sally, Irene and Mary, swiftly followed, and over the next few years she co-starred opposite some of the silent era's most popular stars, including Harry Langdon (1926's Tramp Tramp Tramp), Lon Chaney (1927's The Unknown), John Gilbert (1927's Twelve Miles Out), and Ramon Navarro (1928's Across to Singapore). Crawford shot to stardom on the strength of 1928's Our Dancing Daughters, starring in a jazz-baby role originally slated for Clara Bow. The film was hugely successful, and MGM soon doubled her salary and began featuring her name on marquees. Unlike so many stars of the period, she successfully made the transformation from the silents to the sound era. In fact, the 1929 silent Our Modern Maidens, in which she teamed with real-life fiancé Douglas Fairbanks Jr., was so popular -- even with audiences pining for more talkies -- that the studio did not push her into speaking parts. Finally, with Hollywood Revue of 1929 Crawford began regularly singing and dancing onscreen and scored at the box office as another flapper in 1930's Our Blushing Brides. However, she yearned to play the kinds of substantial roles associated with Greta Garbo and Norma Shearer and actively pursued the lead in the Tod Browning crime drama Paid. The picture was another hit, and soon similar projects were lined up. Dance Fools Dance (1931) paired Crawford with Clark Gable. They were to reunite many more times over in the years to come, including the hit Possessed. She was now among Hollywood's top-grossing performers, and while not all of her pictures from the early '30s found success, those that did -- like 1933's Dancing Lady -- were blockbusters. With new husband Franchot Tone, Crawford starred in several features beginning with 1934's Sadie McKee. She continued appearing opposite some of the industry's biggest male stars, but by 1937 her popularity was beginning to wane. 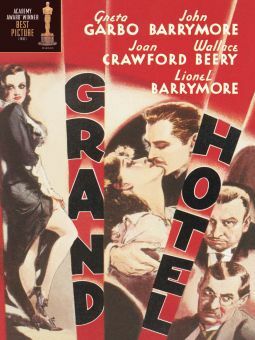 After the failure of films including The Bride Wore Red and 1938's Mannequin, her name appeared on an infamous full-page Hollywood Reporter advertisement which listed actors deemed "glamour stars detested by the public." After the failure of The Shining Hour, even MGM -- which had just signed Crawford to a long-term contract -- was clearly worried. However, a turn as the spiteful Crystal in George Cukor's 1939 smash The Women restored some of Crawford's lustre, as did another pairing with Gable in 1940's Strange Cargo. Again directed by Cukor, 1941's A Woman's Face was another major step in Crawford's comeback, but then MGM began saddling her with such poor material that she ultimately refused to continue working, resulting in a lengthy suspension. She finally left the studio, signing on with Warners at about a third of her former salary. There Crawford only appeared briefly in 1944's Hollywood Canteen before the rumor mill was abuzz with claims that they too planned to drop her. As a result, she fought for the lead role in director Michael Curtiz's 1945 adaptation of the James M. Cain novel Mildred Pierce, delivering a bravura performance which won a Best Actress Oscar. Warners, of course, quickly had a change of heart, and after the 1946 hit Humoresque, the studio signed her to a new seven-year contract. At Warner Bros., Crawford began appearing in the kinds of pictures once offered to the studio's brightest star, Bette Davis. She next appeared in 1947's Possessed, followed by Daisy Kenyon, which cast her opposite Henry Fonda. For 1949's Flamingo Road, meanwhile, she was reunited with director Curtiz. However, by the early '50s, Crawford was again appearing in primarily B-grade pictures, and finally she bought herself out of her contract. In 1952, she produced and starred in Sudden Fear, an excellent thriller which she offered to RKO. The studio accepted, and the film emerged as a sleeper hit. Once again, Crawford was a hot property, and she triumphantly returned to MGM to star in 1953's Torch Song, her first color feature. For Republic, she next starred in Nicholas Ray's 1954 cult classic Johnny Guitar, perceived by many as a "thank you" to her large lesbian fan base. The roller-coaster ride continued apace: Between 1955 and 1957, Crawford appeared in four films -- Female on the Beach, Queen Bee, Autumn Leaves, and The Story of Esther Costello -- each less successful than the one which preceded it, and eventually the offers stopped coming in. Over the next five years, she appeared in only one picture, 1959's The Best of Everything. Then, in 1962, against all odds, Crawford made yet another comeback when director Robert Aldrich teamed her with Bette Davis in Whatever Happened to Baby Jane?, in which the actresses appeared as aging movie queens living together in exile. The film was a major hit, and thanks to its horror overtones, Crawford was offered a number of similar roles, later appearing in the William Castle productions Strait-Jacket (as an axe murderer, no less) and I Saw What You Did. Aldrich also planned a follow-up, Hush...Hush, Sweet Charlotte, but an ill Crawford was replaced by Olivia de Havilland. The final years of Crawford's screen career were among her most undistinguished. She co-starred in 1967's The Karate Killers, a spin-off of the hit television espionage series The Man From U.N.C.L.E., and she subsequently headlined the slasher film Berserk! The 1970's Trog was her last feature-film appearance, and she settled into retirement, penning a 1971 memoir, My Way of Life. A few years later, she made one final public appearance on a daytime soap opera, taking over the role played by her adopted daughter, Christina, when the girl fell ill.
After spending her final years in seclusion, Crawford died in New York City on May 10, 1977, but she made headlines a year later when Christina published Mommie Dearest, among the first and most famous in what became a cottage industry of tell-all books published by the children of celebrities. In it, Christina depicted her mother as vicious and unfeeling, motivated only by her desire for wealth and fame. In 1981, Faye Dunaway starred as Crawford in a feature adaptation of the book which has gone on to become a camp classic. Introduced to showbiz at an early age by her stepfather, who was a vaudeville theater manager. Dance lessons led to work on Broadway and in nightclubs as a teenager, performing under the name Billie Cassin. 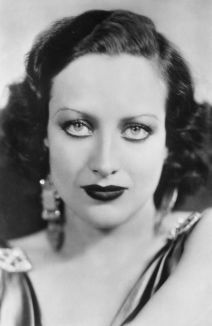 Although she was initially credited with her given name Lucille LeSueur, MGM later dubbed her Joan Crawford after a nationwide publicity contest. With more than 20 films under her belt, broke out as a star in 1928's Our Dancing Daughters. 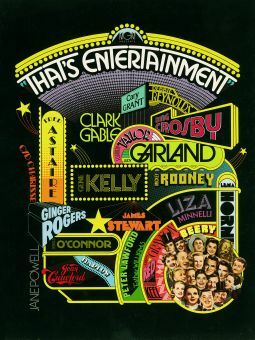 Labeled "box-office poison" by an exhibitors' poll in 1938. 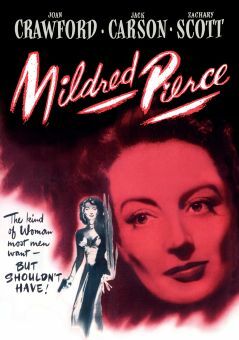 Was released from MGM by Louis B. Mayer, but regained her stature at Warner Bros., which led to an Oscar-winning performance in 1945's Mildred Pierce. After three failed marriages to actors, wed Pepsi-Cola chairman Alfred Steele in 1956 and became active on the company's board of directors. In 1968, at the age of 60, she appeared on the soap The Secret Storm, substituting for her ailing daughter Christina, 30 years her junior. Appeared in the 1969 pilot of Rod Serling's anthology series Night Gallery. Her segment was directed by newcomer Steven Spielberg. After her death, her adopted daughter Christina published a scathing tell-all book, Mommie Dearest.